Hello! We are the new Mr. and Mrs. Philip, and we are excited to share our journey of engagement and marriage with you throughout 2018. We’re amazed at how God has directed our paths. We were both born in Chicago, IL and grew up in adjacent suburbs of Dallas, TX. We finally met in Washington, DC while Rijo was a seminarian discerning the diocesan priesthood and Megan was discerning consecrated life. Several years later, after we each discerned away from our respective paths and discovered a vocation to marriage, our paths crossed again but in a new light. Our friendship developed and we began our courtship while we each completed graduate degrees in theology on the campus of The Catholic University of America. We were married on May 5th of this year and are navigating the joys and new challenges of married life together. 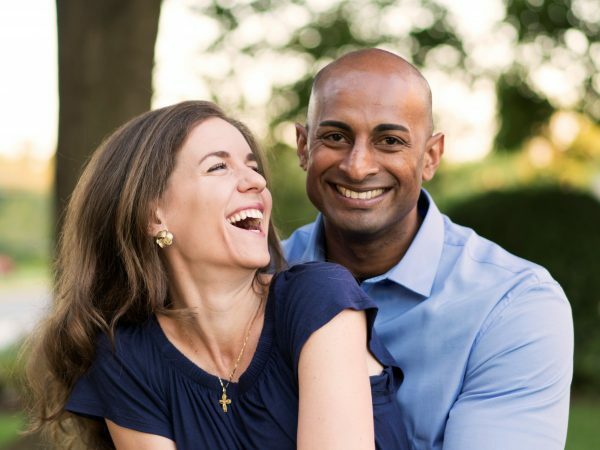 Megan works as the Coordinator of Campus and Young Adult Ministry for the Archdiocese of Washington and Rijo is a medical doctor who is in his first residency year in Washington DC.